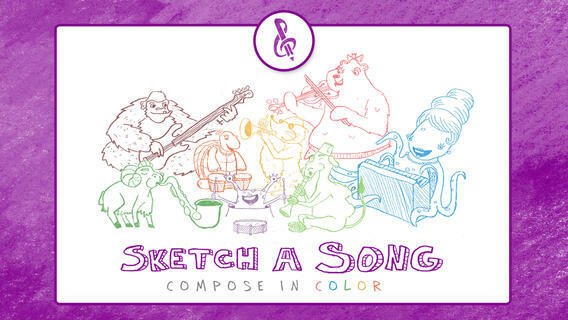 Sketch-a-Song Kidsis an iPhone app developed by09 Line Development Co. Boasting over 40 real instrument samples, this charming kid’s app is great fun for budding musicians. 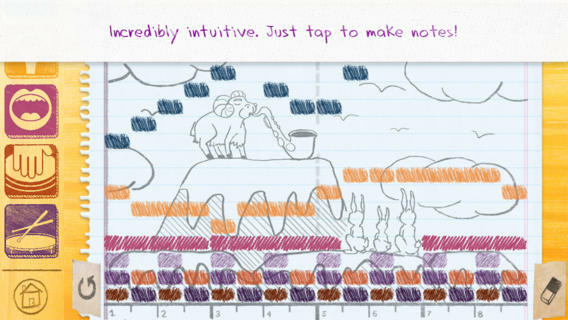 In Sketch-a-Song Kids, you can create your own music by simply tapping and dragging. The interface is very kid-friendly, with an intuitive design and wonderful splashes of color. 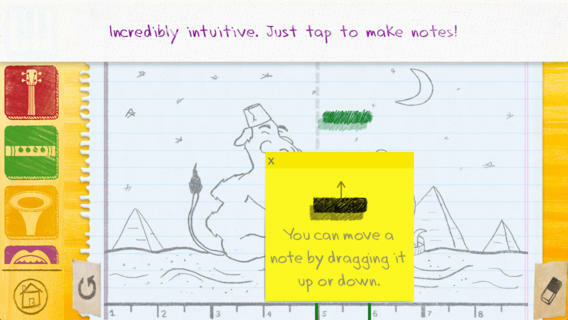 Your song will play back in real time as you adjust the notes, making this a great feedback learning tool. 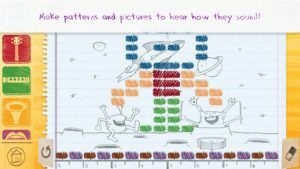 Sketch-a-Song Kids includes eight different “sketchpads,” each of which has a distinctive look and feel. You can link these sketchpads together, which is really neat. I personally love the art in this app. It’s inviting, charming, and really draws kids in. 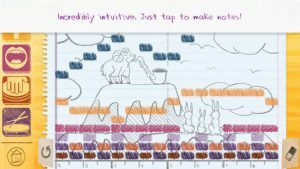 The system of displaying musical notes is simple enough for even a novice to grasp, and it just looks cool. This is the kind of app I can see a kid playing with for hours on end. The music sounds lovely, and there is a wide variety of styles to explore. Whether your tastes run to punk rock or calypso, there’s just so much variety here. While this app is perfectly serviceable on the iPhone, it must be said that this is one of those apps that really benefits from the iPad’s larger screen. Young kids will probably find the iPad to be easier to manipulate as well. Whether you’re a parent who wants to raise a musical child or a music educator looking for an engaging way to demonstrate concepts like instrumentation, rhythm, melody, or harmony, Sketch-a-Song Kids is a killer app. 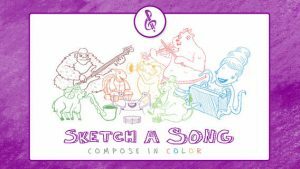 Sketch-a-Song Kidsrequires iOS 6.0 or later. Compatible with iPhone, iPad, and iPod touch. This app is optimized for iPhone 5.